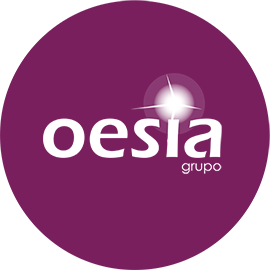 The website www.oesia.com (from this point on, the WEBSITE) is a registered domain by OESÍA NETWORKS, S.L. (from this point on, THE ENTERPRISE), a commercial entity registered in the Registry of Commerce of Vizcaya-Volume 3913-Book 0-Page 117-Section 8-Paper M-565.872. 2nd inscription. Tax Identification Code B-95087482. Registered office: Marie Curie St., 19, 28521 Rivas Vaciamadrid. The USER is exclusively responsible for the opinions, contents, and, in general, all the activities carried out. THE ENTERPRISE have no responsibility for the damages caused due to the activities that THE ENTERPRISE is unaware of. THE ENTERPRISE will not be responsible for the errors made during the access to the WEBSITE or its contents, and it will strongly try to avoid them. THE ENTERPRISE reserves the right to suspend, temporarily and without previous notice, the accessibility to the WEBSITE, because of a possible need of maintenance operations, repairs, updates o improvements. All the contents of the WEBSITE (including, not restrictively, databases, images, drawings, graphics, text files, audios, videos and software) belong to THE ENTERPRISE and they are protected by the national and international regulations on intellectual and industrial property, with all rights reserved. The domain’s name, the trademarks, the signs, the distinctive signs or the logos that appear in the WEBSITE belong to THE ENTERPRISE. All the texts, graphic drawings, videos or audio formats that can be found, at present or in the future, in this internet site, belong to the ENETERPISE and cannot be changed, copied, altered, reproduced, adapted or translated by the user or another person without the express authorization of THE ENTERPRISE. The unauthorized use of the information included in this WEBSITE, as well as the violation of the rights of intellectual and industrial property will lead to the legally established responsibilities. It is not allowed the reproduction, total or partial, of none of the services included in the website of THE ENTERPRISE. It will not be included any manifestation either untrue, imprecise or incorrect about the pages of the ENTERPRISE WEBSITE and its services. Under no circumstances THE ENTERPRISE will be responsible for the contents, information, manifestations, opinions or services available for the public in the web page linked by a hyperlink to the present WEBSITE. Any hyperlink will be directed to the main page of the WEBSITE. . The hyperlinks that can be found in the WEBSITE have been previously agreed with the owner of the linked web pages. THE ENTERPRISE will not be responsible for the bad use nor for the activities against the law, the morals, or the public order that the users carry out in those linked pages. If any clause included in these terms was declared totally o partially invalid or inefficient, this invalidity will concern only the rule in question or the part of it that is invalid or inefficient; the rest of the terms keep having the same validity.